The color turquoise controls emotional balance and gives a sense of stability. Turquoise is a great color to have around you, as it helps with clear thinking and decision-making. The color turquoise will make you feel happy and relaxed because it combines the light blue of the sky with the invigorating green of the seas. 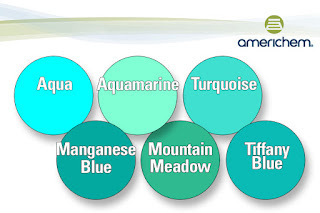 With that combination of blue and a small amount of yellow, turquoise fits on the color scale between green and blue. In western cultures, the turquoise gemstone is the symbol of friendship and brings peace to the home and good fortune to the owner. Native Americans associate the color of turquoise with the blue sky and the green earth. It is seen by many as being symbolic our roots in nature. Tiffany Blue has grown to represent the luxury jewelry store, Tiffany & Co. The color has even been trademarked. We can help you convey clarity, harmony and creativity to your customers with the perfect shade of turquoise. Contact us today.